Sharp Bros. 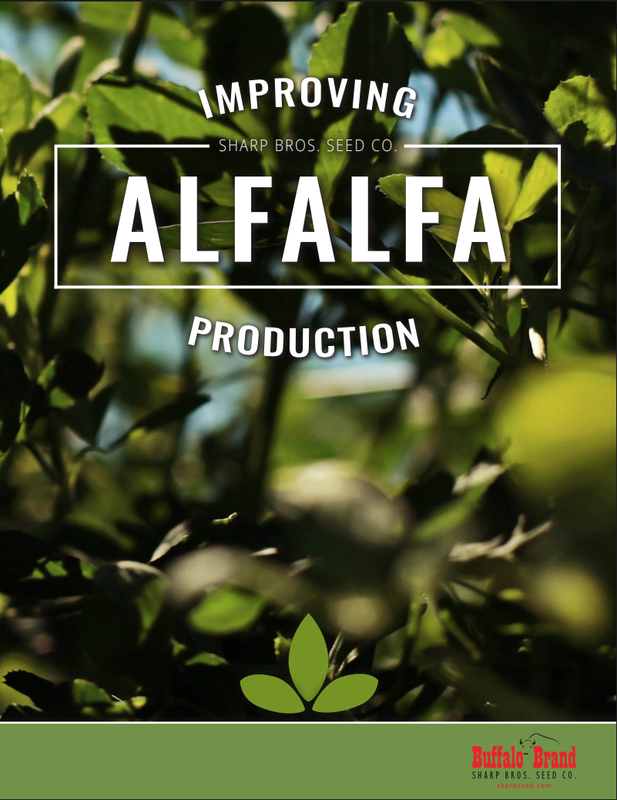 Seed Co. is proud to provide Alfalfa hybrids and a handful of conventional varieties to Plains producers. Hybrid alfalfas with unparalleled vigor, drought tolerance, water use efficiency, tonnage and forage quality. Industry-leading salt tolerance. Branch root growth capabilities providing superior saturated soil performance. The plant breeders are raising alfalfa to new levels of productivity. Raise your productivity with hybrid alfalfa on your acreage. This item is currently unavailable online, but we would be happy to take your order over the phone (620)398-2231, or you can email us at sales@sharpseed.com, and we can give you a call during business hours. Thank you for your patience as we continue to update our new website!